Transportation has historically been a technology intensive industry. The invention of the fast moving rail engine forever changed the pattern of human settlements, with cities expanding beyond previous limits and the activities of trade and commerce also flourishing. Transportation, it seems, has always decided the hierarchy of settlements. 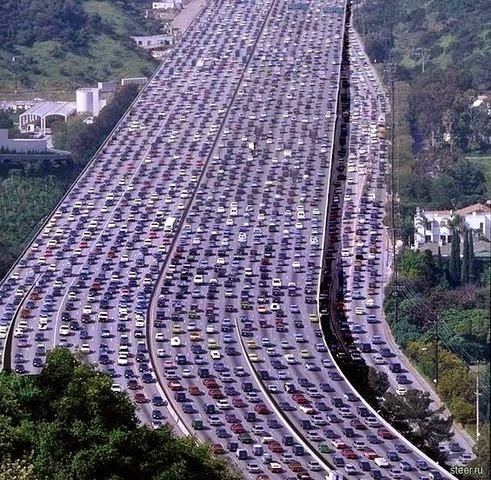 An inefficient urban transport system impedes the growth of the urban economy. Transportation is a part of a complex set of systems which are inter-related and inter-dependent for their efficient functioning; transport, land use, economic development, ecological cycle, formation of a healthy society and infrastructural development are all inter-dependant processes. The ongoing problem of traffic congestion in cities can’t be solved by looking at the components of transport systems in isolation. The diagnosis of urban issues should be done after analysing their causes and impacts. In Vienna, an urban motorway was built and opened in 1978 to relieve the crowded inner urban streets from the north-south traffic crossing the Danube River. The number of accidents in Vienna continuously declined during the 70s. But when the motorway was opened, the trend reversed, peaking in 1994. After the opening of the motorway, traffic speeds went up, leading to about 15,000 collisions. This example is significant, especially in the developing nations which are on an accelerated phase of transportation development. The effects of building flyovers, expressways and other means of transportation may be very complex. The whole concept of transportation planning can be best understood by system analysis, which can be reproduced today by computer modelling and other techniques using real human and structural behaviour of the cities. At the neighbourhood level, transport planning can encourage people to walk and use cycles as a means of transportation, and there are various methods proposed to promote public transport. Providing parking within a reasonable walking distance can encourage private automobile use, but if the distance between private parking and key areas is equal to the distance to public transport, a more balanced transport mix can be encouraged. There is also potential in mixed land use, helping revitalise community life & attract pedestrians back to the street. It can also provide a more diverse & sizeable population, supporting public transit. Car use is much higher in cities that have strict zoning & very little mixing of business areas with residential areas. Enforcing minimum occupancy of vehicles is a controversial but potentially powerful tool for creating a functioning urban ecosystem. The number of annual vehicle registrations could also be kept under the control of local authorities, which is once again a controversial option. However, there is no point over-burdening a city, especially where sustainable development is concerned. Another aspect which could prove beneficial in the long run is the education of a city’s youth based on factors related to the planning, formation, development and functioning of the city. For an urban settlement to work efficiently, the participation of the community is quite crucial, which is something that is lacking in the developing world. The lessons from the past should act as the guiding lights for future developments. In the past, the share of public transport has been destroyed, not simply by an increasing number of cars but by the stages before that: organizing transport facilities and parking in an inefficient manner. Transportation planning isn’t a theory; it’s a collective implication of the practicality of the urban ecosystem. Countries with a low degree of motorization have the opportunity to avoid making the same mistakes in their transport systems. This article was first published on 10th March on thisbigcity written by the author of this blog.